For internal petrol stations | UAB "UNITECHNA"
Automatic fuel accounting system UniMachine with remote operation non contact cards/tokens designed for use in the bus parks, transport companies and departmental petrol stations of other organizations. UniMachine – rational use and correct accounting of fuel! The UniMachine system controls fuel dispensers (with DART protocol). The UniMachine system stores data on: fillings, filling date and time, the sort and quantity of fuel, driver, car, electronic counters of the dispenser at the beginning and at the end of filling, the monthly fuel volume limit balance of the car, etc. The system displays the account fuel remainder in the tank. One tank can be kept for several users fuel accounting. The remote operation non contact cards or tokens are used in the UniMachine system for identification of the vehile and/or driver. Cards can be used as an employment permit and an electronic identifier at the entrance control system. The software, which is used for administering the data in the personal computer, can also print: the fillings for a certain period, the reports of one driver or one vehicle, various statements, etc. 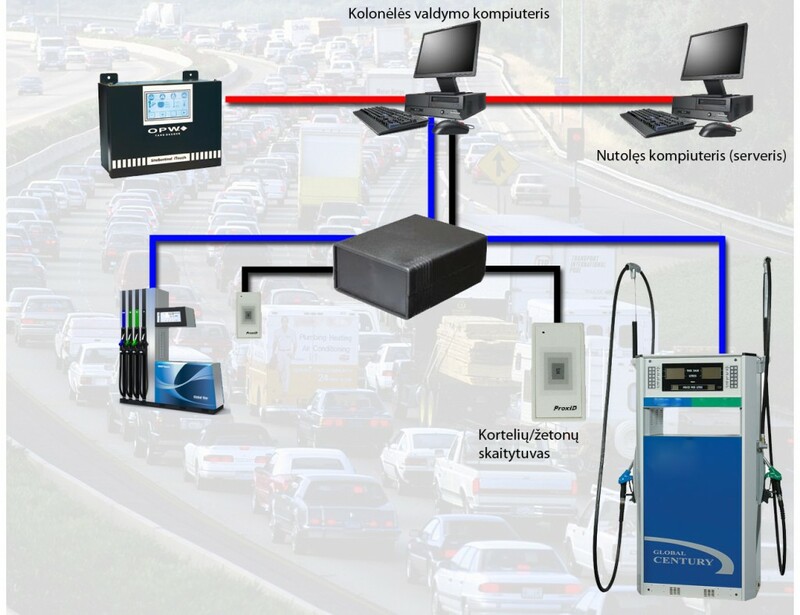 The accounting system of the automatic petrol station works in offline mode.